Cinnamon is one of the more famous spices from Biblical and pre-Biblical times. It originates from a number of species, including Cinnamomum zeylanicum syn in the Family Lauraceae. Cinnamomum brumannii, Cinnamomum cassia, and Cinnamomum loureirii grow in Indonesia, China, and Vietnam, respectively, and are classified as cassias. Cinnamon and cassia have similar aromatic properties, but they differ in flavor, eugenol content, and look and texture of the bark. Cinnamon is milder, with less eugenol and a thinner, light-colored bark. Cinnamon is more expensive, compared to cassia. Cinnamomum verum yields the most valuable cinnamon, known as true cinnamon. Cinnamon is also produced from the aromatic bark of an unrelated species belonging to a different genus and family, Canella winterana, from the Canellaceae family. According to a 2012 FAO statistic, 186,000 hectares of land is used to cultivate Cinnamomum and C. winterana. Total annual production in China, Indonesia, Sri Lanka, and Vietnam is estimated to be 155,000 metric tons, which accounts for 98 percent of the world’s supply. Indonesian cinnamon comprises two-thirds of the global production, with the rest from India, Vietnam, and China. Cinnamon and cassia were immensely valuable, and cinnamon in particular was prized in the Mediterranean. Both spices were given as gifts to gods and emperors. An inscription records such a gift to the temple of Apollo at Miletus in Thebes, which dates back to the early 7th century BC. Pliny states that a pound of cassia or cinnamon could cost up to 10 months’ worth of a laborers’ wages. Later, Roman Emperor Nero burnt a year’s worth of cinnamon and myrrh for the funeral of his wife. The Bible contains four references cinnamon three times in the Old Testament and once in the New Testament. Song of Songs, for example, states: “A garden locked is my sister, my bride, a garden locked, a fountain sealed. Your channel is an orchard of pomegranates with all choice fruits, henna with nard, nard and saffron, calamus and cinnamon, with all trees of frankincense, myrrh and aloes, with all chief spices—a garden fountain, a well of living water, and flowing streams from Lebanon” (Song of Songs 4:12–15). Proverbs describes using spices like cinnamon in romantic allurement. Cinnamon is also described as one of the finest spices in Exodus 30:23. Revelations 18:11–13 describes the devaluation of spices and other valuable goods during the fall of Rome and destruction of the Jewish temple at Jerusalem during the first millennium. 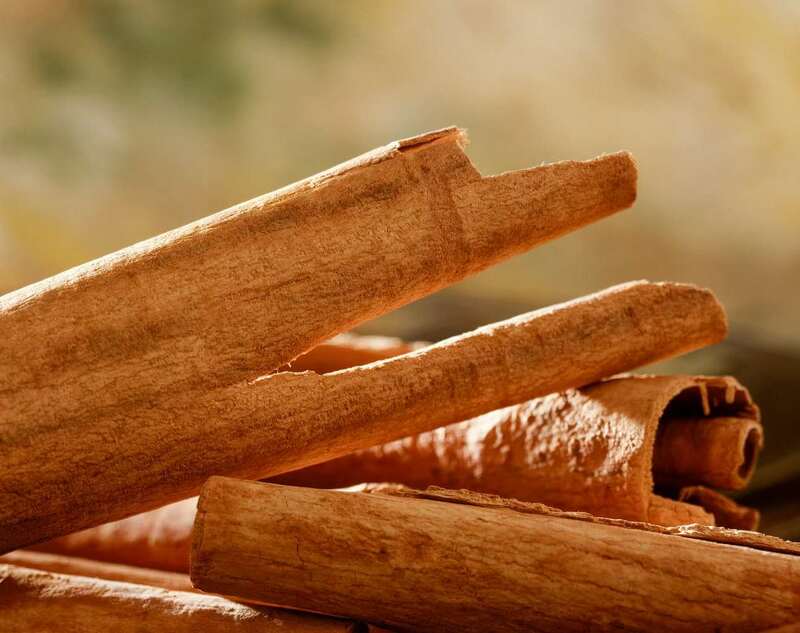 Exodus 32:23–24 distinguishes between cinnamon and cassia. Cinnamon was more expensive, and its aroma was regarded to be superior to cassia. Cassia was often used as an adulterant of cinnamon. The recipe for Holy Anointing Oil calls for twice as much cinnamon as cassia. Although this distinction is blurred today, as both spices are called cinnamon, true cinnamon is still valued higher than cassia. Cinnamon is used extensively all over the world in cuisine, confections, cosmetics, soaps, and incense.